The park close to home is extremely large. Not only is there a sizeable lake, a forest, a BMX track, a playground, netball courts and a vast amount of grass. In one part there is a small concrete pad where the maintenance man leaves all the green waste to be carted away, ie leaf trimmings, tree branches, dead plants etc. 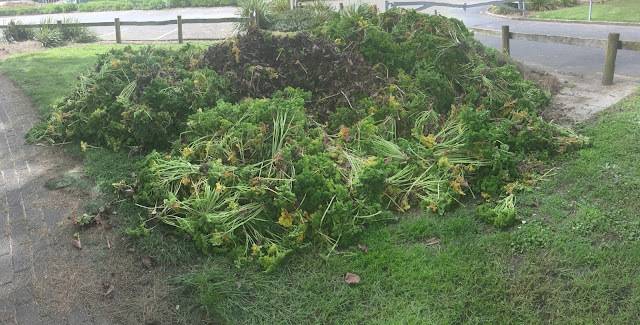 What was weird today, is on his rubbish stack there was an extremely vast amount of Parsley. 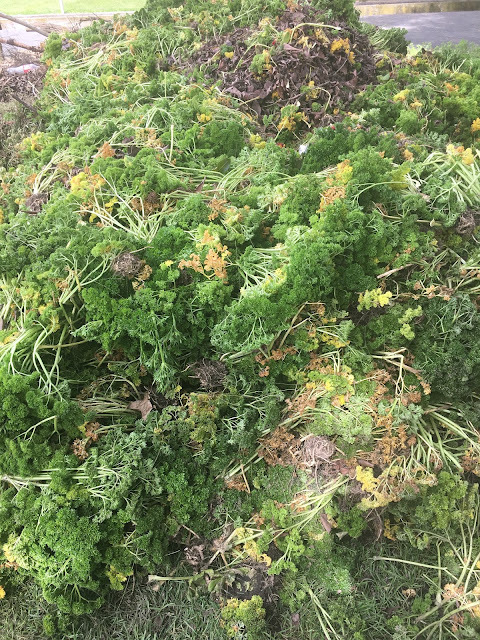 And very healthy parsley. I have never seen so much parsley in one place before, let alone a public park! The photos actually don't do the total amount justice.